Welcome back to Part 2 of my guide on getting your first paints. In this part I am going to look into types of paint as well as the brands that are out there. For those of us that grew up making model airplanes, we are probably familiar with the heady scent of turpentine and enamel paints. 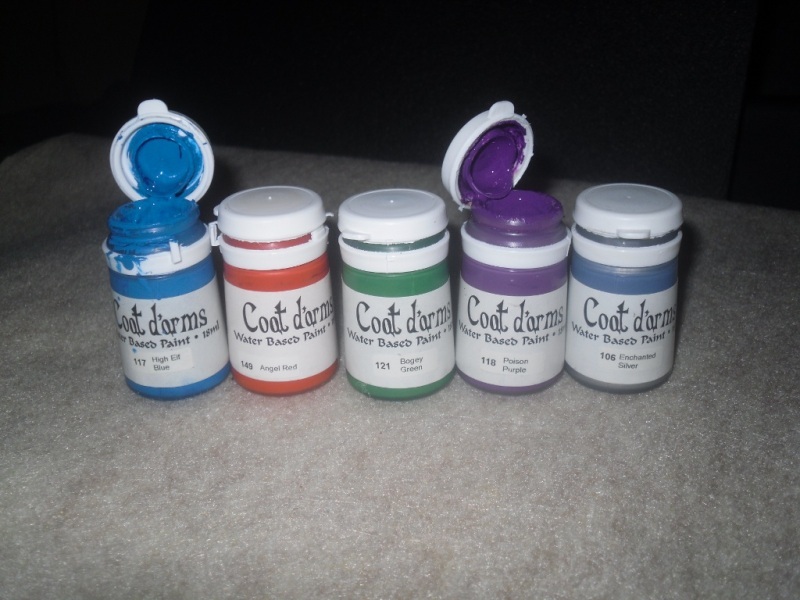 These are hard wearing, oil-based paints that are the bastion of the hobby modeller. The major problem with enamel paints is that they are not water soluble meaning that brushes and equipment will need cleaning with mineral spirits / white spirit / turpentine / methylated spirits etc. These are not the best chemicals in the world, give off rather potent vapours, may be carcinogenic, are expensive and also destroy paint brushes. There are some excellent uses of enamels and oil based paints in general but, unless you are a pro painter / serious tournament painter I strongly suggest you steer clear of these. Acrylics are water based, sparing the use of harsh chemicals and although it is still very possible to destroy your brushes using them, with proper care, they will last a long time. Acrylic paints aren't as hard wearing however, they are not easily removed to undo mistakes and less easy to blend for similar reasons. They are thinnable with water, the brushes can be washed with water and the paint is non-toxic (I'm talking to the brush lickers out there!) are all strong points in it's favor. Flip Tops are the classic acrylic paint pot, they have been around for as long as Citadel (now GW) has been putting out paints. Often these pots will dry out quickly as dried paint around the rim will prevent an airtight seal. It is not insurmountable but can be an issue. Flip tops seem to encourage painters to use the paint straight out of the pot - this is not what painters should be doing. I have ranted about wet pallets before but an issue with flip tops is adding the paint to the palette is more awkward as you need to use a brush or something to transfer the paint over. Dropper bottles provide a small opening, helping preserve the paint for longer without drying out. They don't allow painting straight out of the pot but this encourages the use of a wet pallet which is a good thing. One thing about these pots worth mentioning is that I find they don't tend to mix very well. MIG addresses this with agitators in their paint pots, for other manufacturers, I'd suggest adding your own. Ok well you can short cut this whole section if you want as it comes down to 'personal preference'. Having said that, I have some of my own thoughts about some of the more common brands you tend to see out there. Note that these are all acrylics - I really don't recommend enamels or oils for newer painters. Traditionally the first paint set for budding gamers, these days I think Army Painter and Reaper have succeeded in taking away some of this market. GW provide a good array of paints. I feel they generally struggle with coverage when they get thinned however some of the more 'special' paints like the glazes and effect paints (like Blood for the Blood God) are excellent. I would suggest some of the other paints below for beginners both for price point and quality but there are some very good paints in this range. 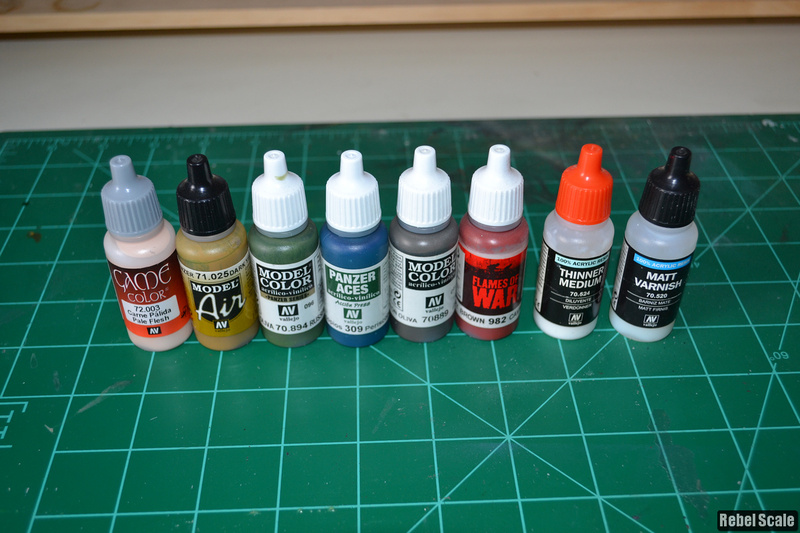 Flip top bottles I am talking here in the latest iteration of GW paints at time of writing (June 2017) - There have been several changes in the last few years however I believe these are produced in China. For American readers, this may not be a familiar brand however Coat D'Arms put out paints that used to be used by Citadel/GW back in the 90s - early 00s (before the screw top disaster). It is a pretty much identical color range. As someone that got into the hobby when these were Citadel Colour paints - I have a soft spot for them, they are what I started with, I find them to have great coverage, pigment density and they last forever as long as you keep the seal clean (I have pots from the late 80s that are still good). These paints are badly in need of thinning though and because they are in flip top lids, it's a bit of a pain transferring them onto a wet pallette. Flip top bottles Coat D'Arms and P3 are both manufactured by HMG Paints.